I don't know why I made this. 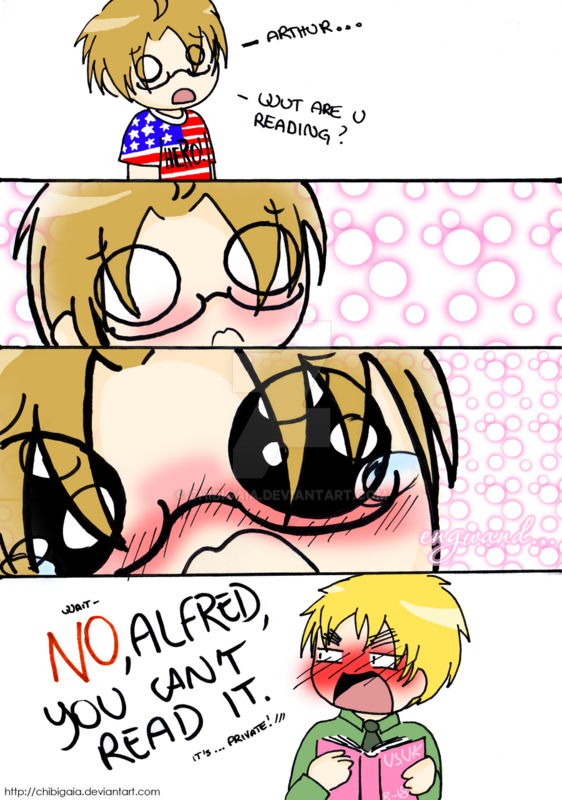 At the first in the second and third panel there must be a zoom of the R-18 UsUk, but then I wanted draw Alfred. He's too cute. CUTE FAT HERO. ... You people realize that America and England are BROTHERS, not father and son, right? can someone please get me that book. america: ok~ wait... IS THAT WHAT HE WAS READING?! 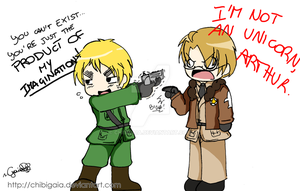 wait, heaven you liked Hetalia? i love this so cute i love this pairing. *Sees third face* WTF D: N-no don't start crying please! Yea....sure it is. It's about you AND Alfred. Sooo yeah, he TOTALLY can't see it.